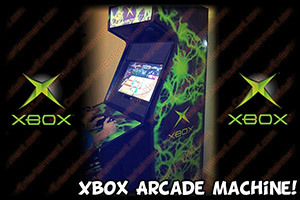 Florida Arcade Game Rentals for Corporate, Bar Mitzvahs & Bat Mitzvahs! Your companies "source" and the Party Planners "resource" for fun! We specialize in Arcade Machins Rentals, other Game Rentals, Photo Novelties, and Keepsakes for Corporate Events, Bar Mitzvahs, & Bat Mitzvahs. We can be booked just for cocktail hour entertainment or for your entire event. We are hired by Families, Event Planners, DMCs, and other event professionals seeking quality & reliable "Extra" Entertainment. When planning your event you should create an atmosphere that is exciting for all of your guests. Whether it's a Bar Mitzvah or Corporate Event, It is the "Extras" that make your party more unique and fun. You can incorporate ideas that match your theme or colors. 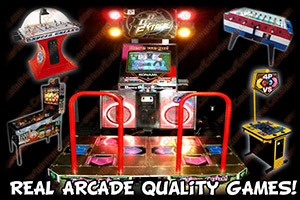 It's the arcade game rentals that can help set the mood with flashing lights and sounds to create a fun and exciting atmosphere for your party guests. If your guests have fun with your initial cocktail hour entertainment then you have succeeded in setting the mood for the rest of your party. Let Cocktail Hour Entertainment make that happen for you! 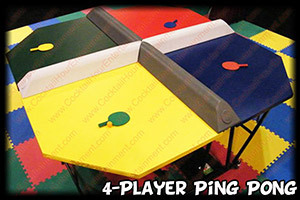 Arcade Games that were built to entertain your guests and keep them busy are considered activities. 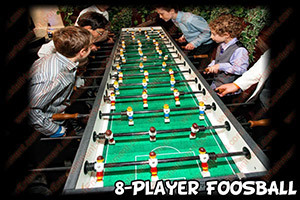 Activities are used to keep your guests entertained during cocktail hour and/or the main reception. They can be provided as an alternative form of entertainment during the main party if your guests need a break from the dance floor or arcade game rentals can provide another form of entertainment if you have some shy kids that don't want to dance. 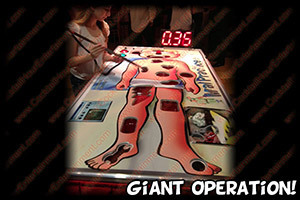 Some examples are Pinball Machines, Multicades, Arcade Games, Air Hockey Tables, Casino Tables, Foosball, and Video Games. CLICK ON THE "SPECIALS" BUTTON ABOVE FOR OUR LATEST GAME SPECIALS. Most parties are 4-5 hours long and break into the 2 parts, the Cocktail Hour & the Main Reception. The Cocktail Hour is the first hour of your party. There is often light food & drinks, but nothing to really keep your guests entertained. The DJ or Band usually plays background music and if your Cocktail Hour is in a separate room there is no dancing. Most companies book at least a few arcade games (Ex. 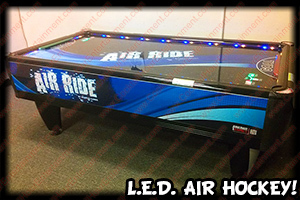 Air Hockey Table, Pinball Machine, Foosball) for their events to keep their guests entertained. 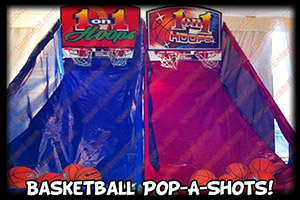 Arcade Games can be booked just for the cocktail hour or for the entire event. We can close the games down at important times like the grand entrance or during a video presentation. For parties with kids & adults (ex. 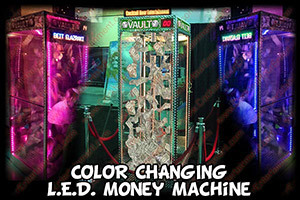 BAR MITZVAH or BAT MITZVAH) we recommend a minimum of 1 Arcade game for every 25 total guests. Note: If you do not have a good DJ or Band then we recommend more. For corporate events we recommend 1 Arcade game for every 25-50 guests, but this number can be affected by other forms of entertainment you may be hiring as well. We invest in professional equipment & attractive displays to make your event look its best! We don't work from a rolodex! We own our equipment so we offer better prices. We can provide entertainment services just for cocktail hour, or for an entire week. We constantly search for exciting new options to give your event the latest and greatest! Some Caterer's and Event Planners recommend companies solely b/c of a personal or financial relationship with that company so the next time someone says "they're the best," do a little homework and decide for yourself. Educated consumers are our best customers! If a company has recommendation letters from happy customers on their website contact a few of them and make sure they are real! It is common practice for companies to put one-liners like, "They were fantastic-The Stein Family." Assume these types of referrals are fake unless the company will provide an email or phone number along with the person's name. ALWAYS CHECK REFERRALS. If a company offers a particular service verify they own the equipment by asking some detailed questions to confirm they know what they know what they're talking about. For Example, if you call a DJ company and they offer Photo Favors then you should be able to ask that sales person detailed questions like, "What type of printer do you use?" and "How fast does that printer produce 4x6 photos?" If the person answering the phone doesn't know the answers to those types of questions then your talking to the wrong person...and the wrong company. Higher Prices doesn't mean Higher Quality! Many companies just hire other companies and add on an additional profit for themselves. Why not hire us directly? Give us a call and we'll help make sure you are paying a fair price even if your not hiring us! Most DJ Companies & Bands that offer novelty services work from a Rolodex and stamp their name on many of their options. (Along with a higher price and an inconsistent product!) Don't expect them to Admit it! Do your homework! Answer: No, we would arrive at 5 pm so we are set up before the party starts. If we are taking photos then we would stop taking photos at 9 pm, but we'd continue working until every photo taken is finished for the guests to take home. Answer: Our staff are experienced and professional. Our staff know they are not one of the guests! They will not stand around and eat or drink your food. 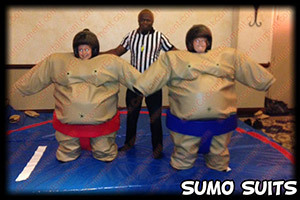 Our attendants are clean cut and wear "Event Staff" shirts, Referee shirts, or Black Polo shirts. We can also customize our attire based on your theme. (Ex. Sports Jerseys). We do not employ 14 year olds, people covered with body piercings or tattoos, nor "ghetto" looking staff. Our quality & selection is unrivaled and we are competitively priced! We use the best commercial-grade equipment available in our industry. No one has better equipment than us...no one! Our passion is our profession and our quality and selection proves this! Call us and we'll prove it! We want to WOW your guests! It's a lot of work to put together the quality and selection we offer, but we think your party is worth it! If you see another company with similar games they most likely copied us! We are in this business to be the best, not just to make a profit! We focus on the product before the profit!